Do classroom teachers read academic journal articles? As a teacher educator, this question has been haunting me for years . I sometimes question the relevance of what we do, research, and write about as academics if it’s not directly impacting teacher practice and/or policy decisions. In the field of teacher education, this question becomes crucial. What teachers read and think about has potential to impact their daily practice with students, families, and communities. Academics can connect with (very busy) practicing teachers through mediums that are highly readable, relatable, are open-access (free! ), and provide practical and concrete advice on ways to problem-solve about real-world scenarios and situation. Without concrete solutions and content about actual practice and issues, what is academic research worth in teacher education and beyond? Here are some solution-oriented, multi-modal types of arenas for academics to consider. 1) YouTube. Create a YouTube channel of your own and post regularly. I have found in my own practice, since about 2009, when I started recording videos for my teaching at UT Arlington, that people prefer videos on specific content. The trickier concepts are the best kinds of videos to record. I check my analytics often and the most popular videos provide succinct and specific answers (in 5-10 minutes). 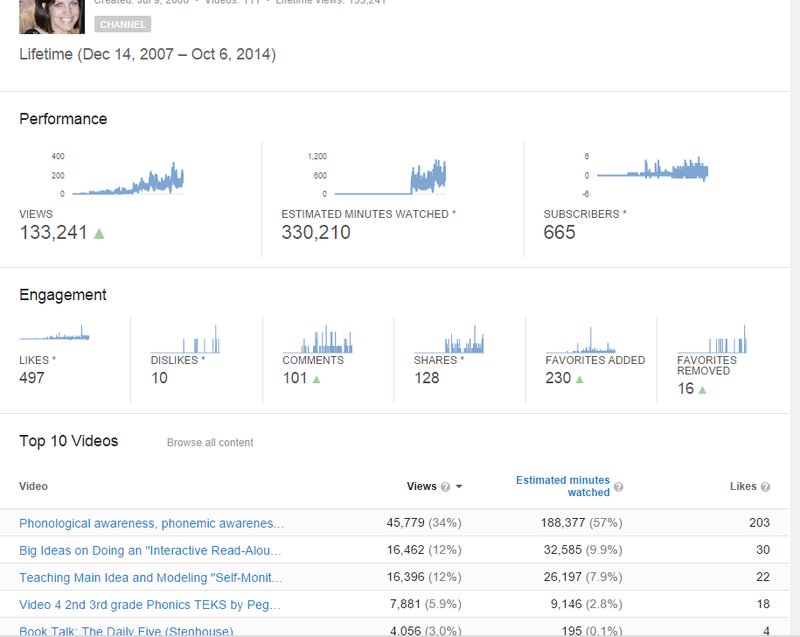 Here’s a screen shot of recent stats for the lifetime of the channel so far. The free app YouTube Capture provides an easy way to create video content. 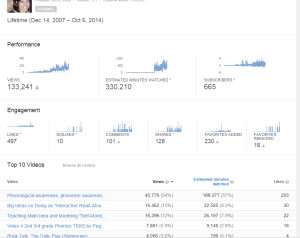 My channel has over 330,000 minutes watched so far! 3) Blog and write for a broader audience. Start a professional blog and create accessible content for a broader audience. Embed videos into these posts for more multi-modal content. These are things that have worked for me as an academic who wants to make a difference for teachers. This is just the beginning. What are other ways to reach out to a bigger audience? (Examples: Participate in Google Hangouts with colleagues on academic topics, post comments to academic-oriented blogs, promote teacher’s blogs, etc.). Caveat and disclaimer: there’s a glut of information out there. How can we create quality and meaningful content? Next Post:Tips for College Students: Getting Things Done During Winter Weather!